Read today’s blog for a complete list of the winners and finalists in the only global dairy innovations contest. In early May, 16 dairy foods innovation authorities reviewed the many entries to the Dairy Innovation Awards 2013 contest sponsored by U.K.-based FoodBev Media. The judges can be viewed HERE. There were 140 entries in 15 categories from 23 countries. This is the only new dairy products contest in the world that relies on a team of industry experts to choose the winners. The judges base their decision on multiple criteria; it is not a social media popularity contest. I believe my fellow judges would agree that this was an exhausting task, as the entries were all so very impressive. We took our job very seriously. Congratulations are in order to all 140 entries. The winners and finalists were recognized at a special gala dinner at the prestigious 7th Global Dairy Congress in Lucerne, Switzerland, on June 19, 2013. To view a video featuring all of the Dairy Innovation Awards categories, entrants, finalists and winners, click HERE. To see a printed showcase of the same, click HERE. Again, congratulations to all of the companies who participated in this prestigious contest! My Fit Foods opened two weeks ago in Chicago. I was one of the fortunate first food bloggers in The Windy City to sample these freshly prepared, chilled, ready-to-eat or heat-and-eat meals and snacks. And to my delight, many contained a dairy component. The idea of My Fit Foods began in 2006 in the apartment-kitchen of Houston-based personal trainer and former Marine Mario Mendias. In efforts to ensure that his clients achieved the results he promised, he cooked for them, as many were too busy to shop and prepare healthful meals. In 2007, he outgrew his apartment-kitchen and partnered with restaurant pioneer Anthony Milton (My Fit Foods, CEO) to create My Fit Foods and expand the mission to provide fresh, healthy foods-to-go that taste great at an affordable price. 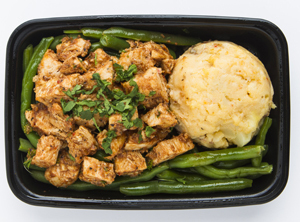 The menu expanded with additional meals and snacks all focused on lean protein, low-glycemic carbohydrates and heart-healthy fats. According to the company, dairy foods play an important role in the nutritional profile of My Fit Foods’ balanced meals. Dairy is an excellent way of obtaining nutrient-rich, low-glycemic carbohydrates, as it is loaded with calcium and vitamin D and is a great source of protein, according to a company spokesperson. With just a little more than six years under its belt as a retail store concept, My Fit Foods is on the forefront of a major nationwide expansion. More than 50 locations can now be found within Arizona, California, Idaho, Oklahoma and Texas. There are two in Chicago, with a third on its way…and lucky me, all nearby! Speaking of Greek yogurt, the company also sells cups of Chobani yogurt for $2.50. “We are very careful in what branded products we carry in our stores. 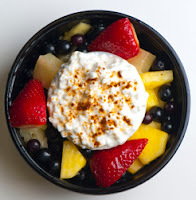 Chobani Greek yogurt aligns nicely with My Fit Foods. Greek yogurt has a great amount of protein as well as healthy probiotics,” according to the spokesperson. 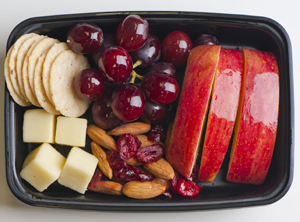 Dairy products can be found in many other entrees, snacks and salads. There’s even a homemade Alfredo sauce made with buttermilk and real cheese. Please check out My Fit Foods HERE. And if they are not in your city yet, hope they come soon. The food is delicious and satisfying. 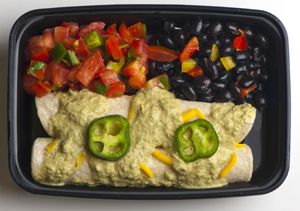 And…maybe your dairy food can become part of their menu. With just one week until the first day of summer, we must not get too lost in the dog days, as autumn will be here sooner than you can imagine. And every odd-year autumn, like this one, hosts Anuga. Anuga is not only the largest food and beverage fair in the world; it’s also the sector’s most important fair for new markets and target groups. It’s the perfect venue for all the latest trends and themes--and a great place to make first-rate contacts and business deals. Because TOMORROW MORNING TODAY will already be YESTERDAY…this is why you want to attend Anuga, either as an exhibitor of dairy foods available for export or as a visitor tracking the trends. This biennial event will take place October 5 to 9, 2013, in Cologne, Germany. A central business and communications platform, Anuga brings together the suppliers and top-decision makers of the global retail trade and foodservice and catering markets. The 2011 expo hosted more than 6,700 exhibitors from almost 100 countries. 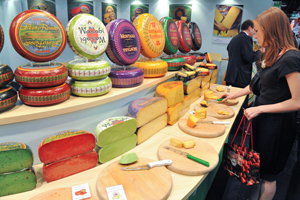 Approximately 155,000 decision makers from 180 countries attended Anuga 2011. Anuga features 10 specialized trade show segments in one location. The segments are: 1) Bread & Bakery, Hot Beverages, 2) Chilled & Fresh Foods, 3) Dairy, 4) Drinks, 5) Fine Food, 6) Foodservice, 7) Frozen Food, 8) Meat, 9) Organic and 10) RetailTec. 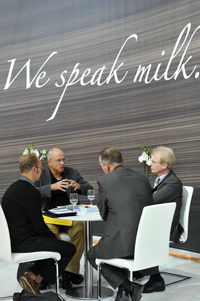 For 2013, Anuga organizers have identified 10 trend topics that will be highlighted throughout the 10 segments. They are: 1) Finger Food 2) Gourmet Products & Regional Specialties, 3) Halal Food, 4) Health & Functional Food, 5) Ingredients, 6) Kosher Products, 7) Organic Products, 8) Private Label, 9) Vegetarian Products and – new for 2013 – 10) Products Based on Fair Trade. For more information on the trade fair, visit HERE. For more information on exhibiting as part of the U.S. Pavilion, visit HERE. Following are some innovations you would have experienced firsthand had you attended Anuga in 2011. Plan on attending this year! Every hall is a classroom and every introduction a new business opportunity. I hope to see you at this innovation destination. Lightfood OU in Estonia, a small state in the Baltic region of Northern Europe, showcased the sour milk drink Dietan. 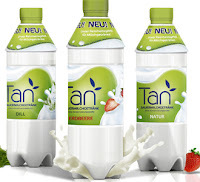 This slightly carbonated drink, also simply known as tan, is a less viscous version of kefir and is rich in probiotic bacteria. It is usually consumed plain, but if flavored, it will not contain added sugars. Tan has been consumed throughout the Caucasus mountain region since ancient times. Only in the past decade has it been commercially produced, with distribution primarily in Russia. That is changing. Germany’s Probiotan GmbH also sampled its line of Tan beverages. The company produces it in a variety of flavors, including banana, carrot, cherry, dill and strawberry. The fruit and vegetable varieties contain pureé or concentrate for natural sweetness. I expect to see more acidified dairy beverages this year. 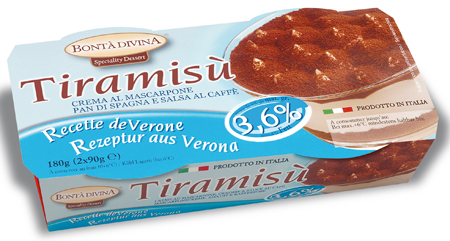 Italy’s Trentingrana produces a namesake cheese with milk exclusively from farms in the Trentino region. The cheese stands out for its special sensory characteristics, as well as the fact that it is made from milk from cows fed exclusively on fodder and non-GMO feed without the addition of additives or preservatives. The company invested in easy-to-open packaging in response to consumer requests. Also from Italy, Luigi Guffanti 1876 s.r.l. debuted Formaggio 1/3 Birra, a whole cows milk cheese that is made with beer. Specifically, the company mixes Italian beer made by Brewer Un Terzo directly into the whey during cooking, which lends the cheese its fine aroma and beer flavor. 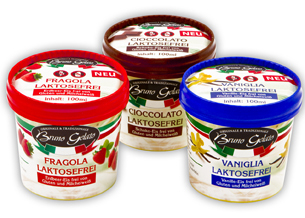 Germany’s Bruno Gelato introduced a line of lactose- and gluten-free ice creams in Chocolate, Strawberry and Vanilla varieties. 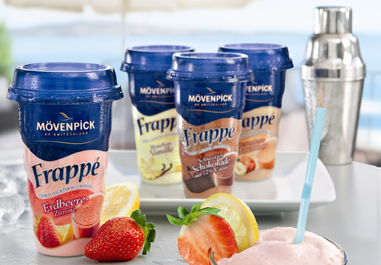 Germany’s Bauer Private Dairy launched under its Mövenpick brand a line of ready-to-drink milkshakes. These fine and creamy premium shakes with their airily light consistency and just a hint of sweetness come in four varieties: Bourbon Vanilla, Piemont Hazelnut, Strawberry Lemon and Swiss Chocolate. 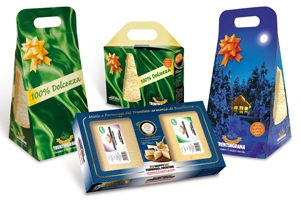 And Switzerland’s Emmi showcased the many innovative refrigerated dairy desserts concepts acquired from its purchase of Bonta Divina. June 7th is National Chocolate Ice Cream Day, the day we celebrate one of the most popular ice cream flavors of all time. And while chocolate ice cream does come in second to vanilla in terms of popularity, it does so knowing that it is very adaptable to layers of extra flavors and that it functions as a base for many other popular ice cream flavors. For example, chocolate pairs surprisingly well with some unlikely partners, such as sea salt. It also likes to get heated up, with chocolate ice cream pairing well with chilies and various spices…and even booze! 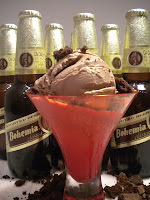 The almost wine-like taste of the upscale Mexican beer Bohemia, combined with the subtle heat of the pasilla chili pepper, makes for the ideal flavor combination for addition to a rich chocolate ice cream base. And speaking of chocolate base, ice cream manufacturers are improving the quality of cocoa and chocolate that they use in order to deliver a more upscale eating experience. Often times the source of the chocolate is becoming part of the flavor story. Here are 10 innovative chocolate ice cream flavors for summer 2013. Gelato Petrini developed Stout Beer and Chocolate Gelato, which joins other alcohol-containing frozen desserts such as Guinness Chocolate. 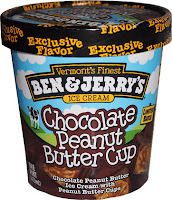 Ben & Jerry’s now offers a chocolate version of its popular Peanut Butter Cup ice cream. 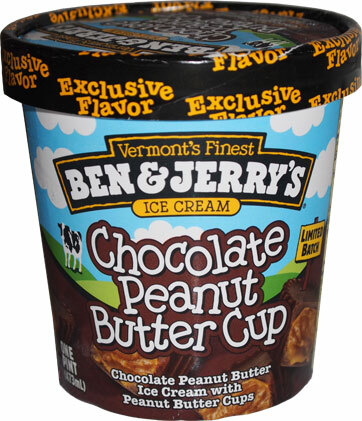 Limited-edition pints of Chocolate Peanut Butter Cup are available exclusively through Walmart. 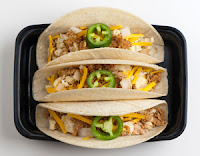 A half-cup serving contains 330 calories and 21 grams of fat. Here’s another limited-edition ice cream. Blue Bunny Premium Chocolate Caramel Cashew Ice Cream is described as silky chocolate ice cream loaded with chocolate flakes, honey-coated cashews and a caramel sauce. 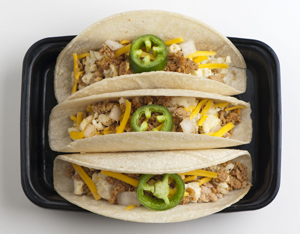 A half-cup serving contains 160 calories and 8 grams of fat. The Farmer’s Cow is a group of six Connecticut dairy farms working together to sell their fresh dairy products. 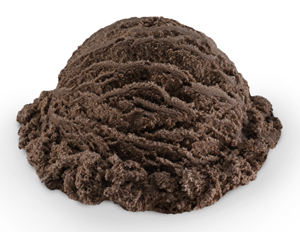 One of the new ice cream flavors is based on a lot of chocolate. 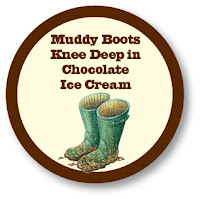 Muddy Boots Knee-Deep in Chocolate is pure decadence. 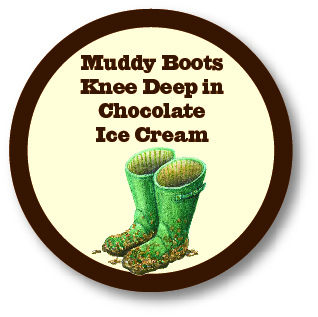 It features The Farmer’s Cow “Cow Barn Chocolate” ice cream, which is made even muddier with brownie bits and chocolate chips swirled in a fudge ribbon. Baskin-Robbins is introducing Maui Brownie Madness Frozen Yogurt, which is chocolate frozen yogurt loaded with chunks of brownie and macadamia nuts and swirled with ribbons of chocolate fudge. 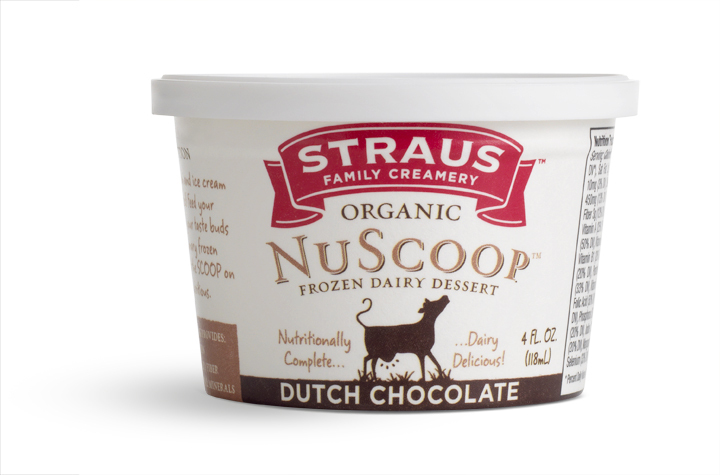 Straus Family Creamery has developed NuScoop, an innovative snack or meal supplement that provides complete nutrition in the form of a frozen dairy dessert. 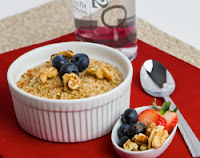 NuScoop is real, organic food without any artificial or genetically modified ingredients. This first ever “energy bar for ice-cream lovers” is available in 4-ounce cups in three flavors, Dutch Chocolate, Strawberry and Coffee. All of the NuScoop flavors are 50% higher in protein and 50% lower in fat compared to regular ice cream. The suggested retail price is $2.49. 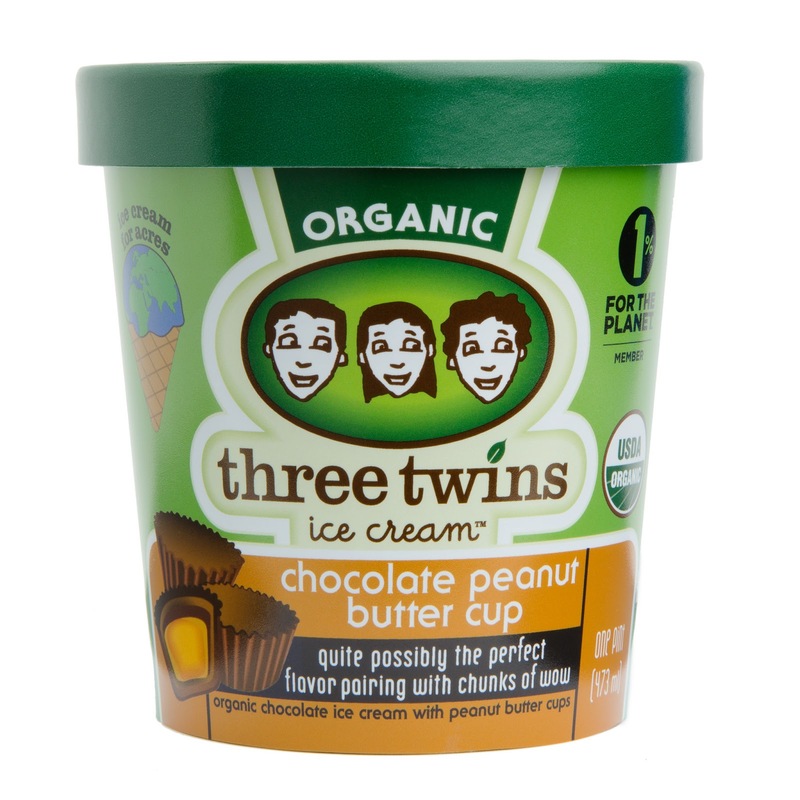 Three Twins Ice Cream has a number of new flavors this summer, including two chocolate pint concepts. 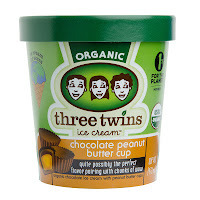 There’s organic Fair Trade Chocolate Malt and organic Chocolate Peanut Butter Cup. Pints retail for $4.49 to $4.99. 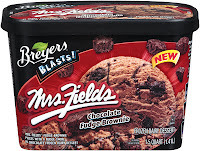 New Breyers Blasts! 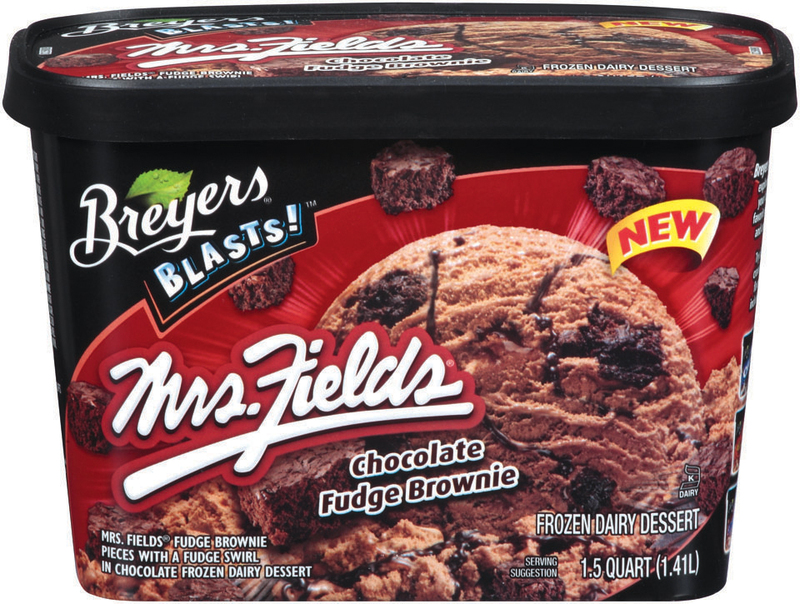 Mrs. Fields Chocolate Fudge Brownie Frozen Dairy Dessert , which is chocolate frozen dairy dessert loaded with Mrs. Fields fudge brownie pieces with a fudge swirl. High Road Café Ice Cream recently debuted Chocolate Noir, a rich, dark chocolate craft ice cream. The company also offers Aztec Chocolate and Caramel as part of its Destination Series line. Outside of the States, Nestlé Temptations Flavors of the World Belgian Chocolate Praline Flavored Ice Cream is described as rich swirls of white chocolate and milk chocolate ice cream blended with Belgian chocolate chips and praline pieces made of chocolate-coated toffee bits. Happy National Chocolate Ice Cream Day! 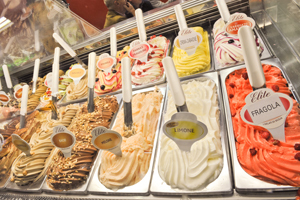 Please enjoy a scoop or two!